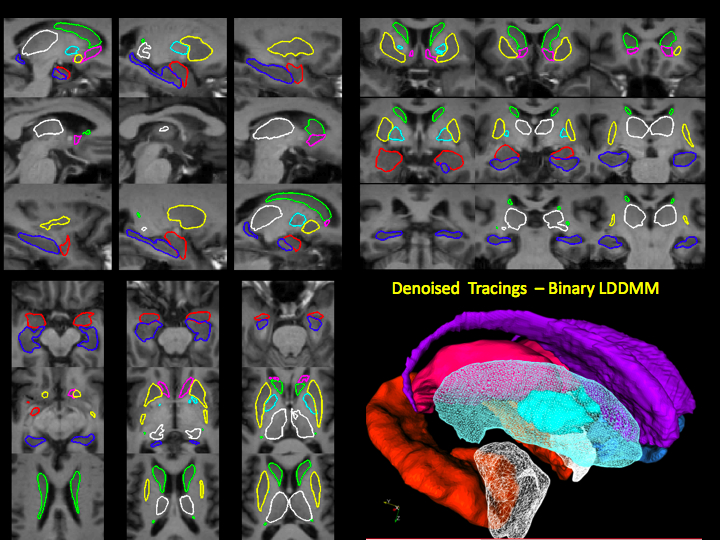 This project focusses on the generating highly smooth segmentations of manual tracings via Template Injection using binary Large Deformation Diffeomorphic Metric Mapping (LDDMM). 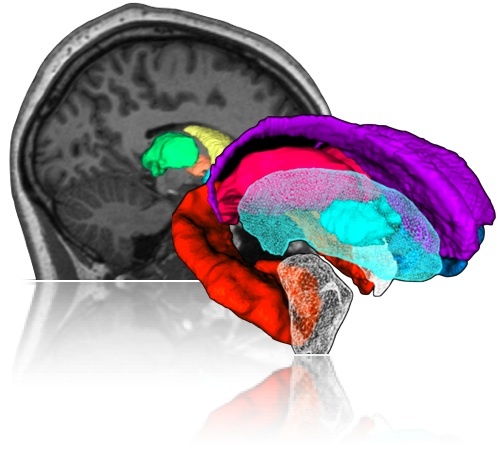 Smooth and accurate segmentations are essential for shape analysis of different subcortical structures of human brain and also in building a high-quality template for registration or segmentation involving group studies. 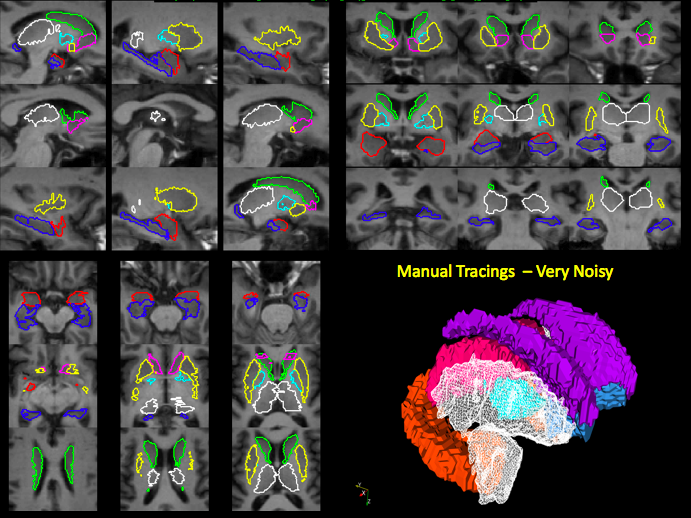 Manual tracing by an expert neuroanatomist is necessary to obtain an accurate segmentation. 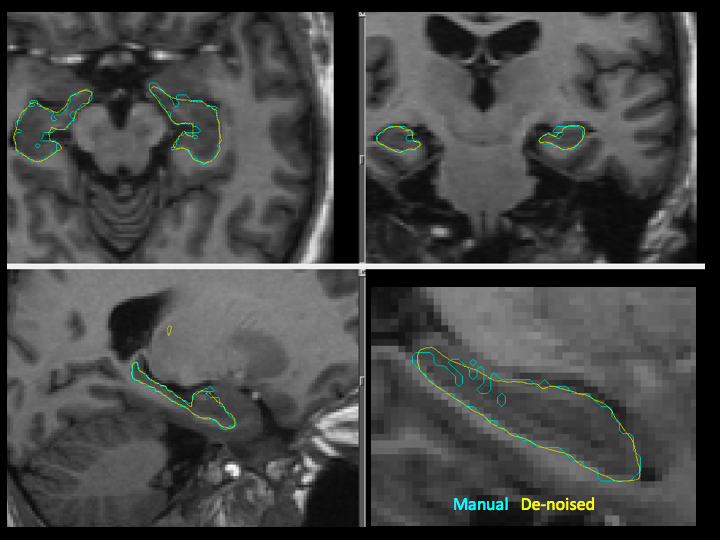 This usually is very noisy limited by inherent nature of slice-by-slice tracing of the strucutres by the expert. To obtain a such highly smooth and accurate segmentations for template, we propagate an existing gold-standard template segmentation (usually referred to as Template Injection) to the given subject by matching via binary LDDMM. 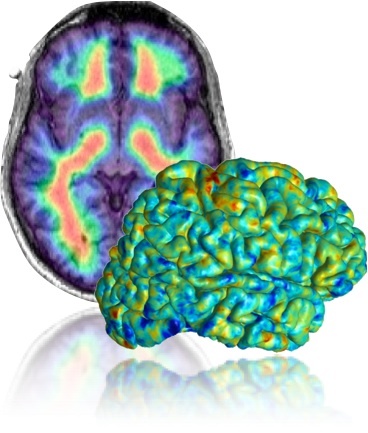 This denoises the shape to a great extent resulting in very smooth segmentations, illustrated in the pictures below. 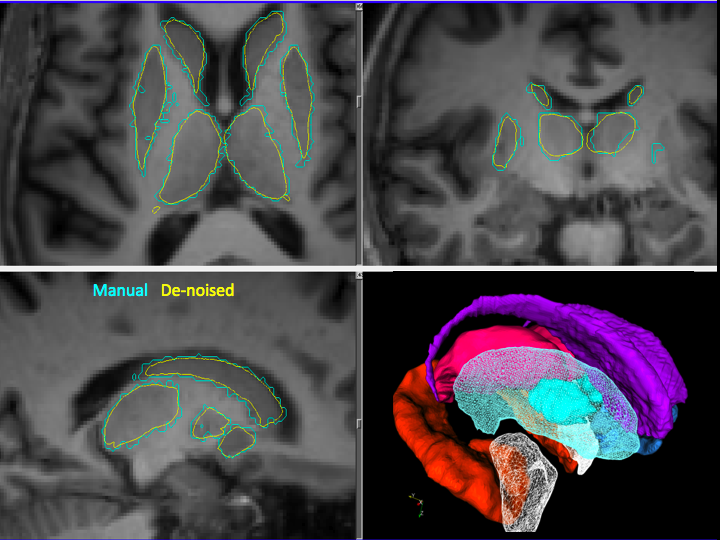 Denoised versions of previous segmentations using the proposed procedure result in the following highly smoothed segmentations.